September | 2012 | GoWests! Hello out there! 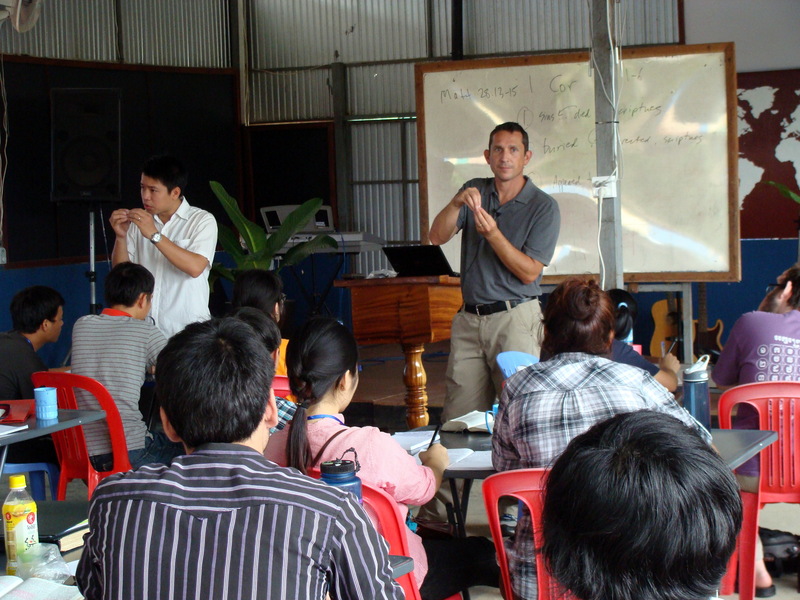 DTS Equip, the reason we are here in Cambodia, is 4 weeks in. Only three left; time is flying. Equip is a short but intense school to develop leaders and discipleship. Why Cambodia? Cambodia is strategically placed in the heart of South East Asia, easy to enter for countries of all political persuasion, and easy to send from. 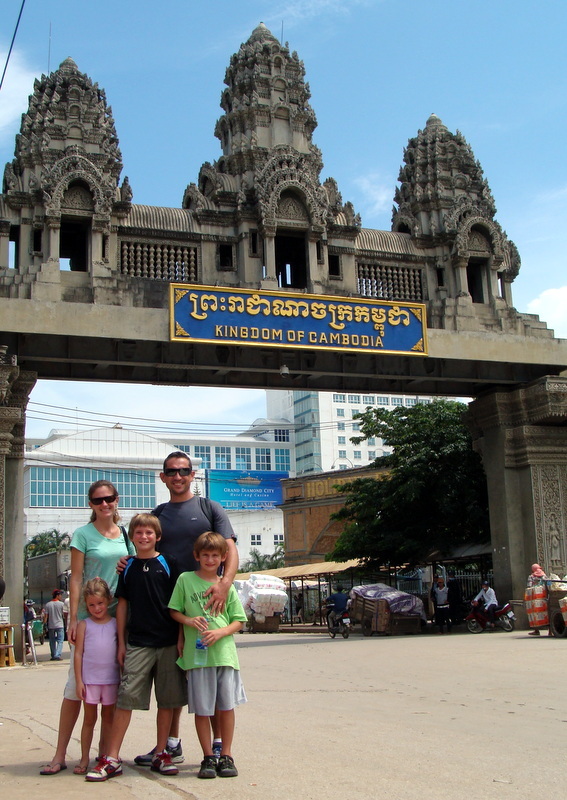 We have been working with the Cambodians for over 10 years now for exactly this purpose. This is the second Equip we have run in “B-Town” (Battambang, Cambodia). The first in 2010 was a wonderful success with fruit being seen in several nations. What is fruit? Leaders developed personally as well as professionally, improved styles of leadership and discipling, more effective decision-making, church planting, and increased networking. Overall, we have 35 participants and 10 staff, with work spanning 9 nations and two continents. Persecuted leaders arrive in numbers. Security demands anonymity. Vietnamese Staff and Students, BB2012. Cuong & Jeremy. Cuong is a Vietnamese Leader, Equip staff, and dear friend. 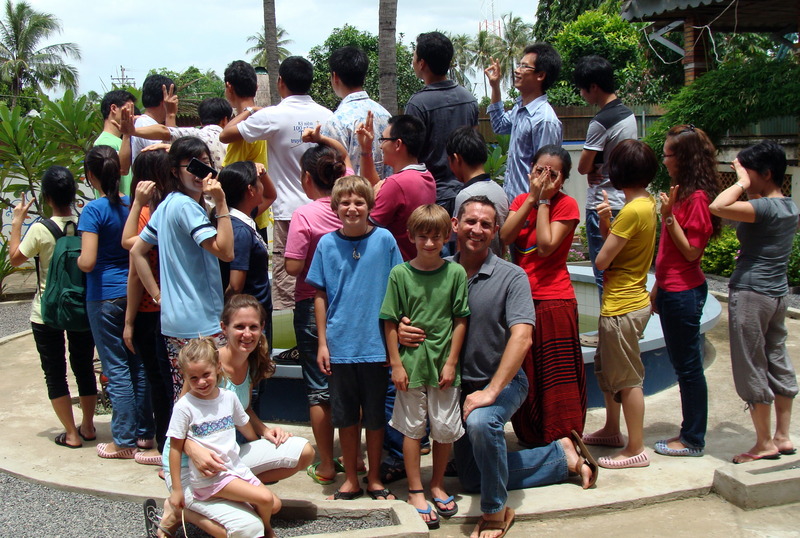 In 2010 we had 6 Vietnamese participants, plus 2 Vietnamese two staff. This year we have 20 participants plus four staff. Some of these young leaders have been in prison for the Gospel, yet this only fuels their desire for more training and development (see the group picture below). Believe me, even though you can’t see their faces (for security) they are all smiling! Here in Battambang we are able to work again with people whom we have spent so much time with for more than a decade in a variety of roles and places. Another significant blessing for us is being able to work again with the staff and graduates from the previous Cambodia school, building friendships as well as continuing mentoring and development. In a picture of diversity with common purpose, our staff of 10 represents 5 nations on its own! A church planted in 2010 now bearing fruit. During Equip 2010 the Lord led us to a nearby slum (see the blog and video from October 22, 2010). When we arrived in Cambodia this year one of our graduates from 2010 (who is on the local YWAM leadership team) excitedly told me, “Do you remember our time in the slum? We ended up planting a church there.” This church has a (Khmer!) pastor, elders and a congregation, all in the slum. Early in the work one of the men there actually tried to kill our friend with an axe. However, he soon became a Christian. Today he is on the church leadership team! These people have been taught and discipled. An example of their growth is how they steward any money brought to the church. Over a whole year they saved their tithes. Not only do they bless their local community (the slum) with feedings and ministry, they also felt to commit to support a Khmer missionary, $10 per month. This is astounding. The money is huge for them, and the idea of supporting a Cambodian in missions is a major spiritual and psychological breakthrough for these impoverished people. Thank you for reading this, and for your support of prayer and interest. Together we are making a difference. Keep watching this space for more updates and photos. The school is on Facebook too. Like us, at “dtsequip”. 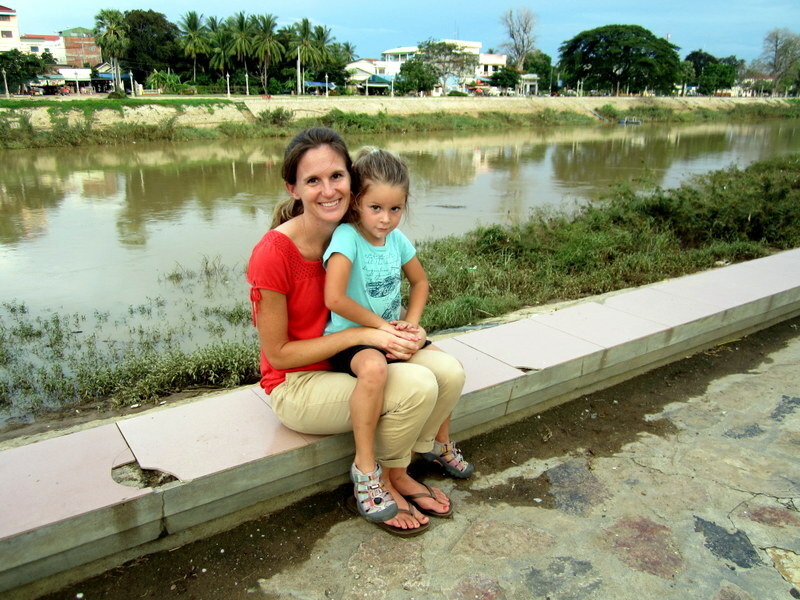 We have been here in Cambodia 4 weeks, and are undoubtedly walking in the grace of God! Despite all the challenges in the areas of comfort and convenience, (oh, and injuries) we are having fun, laughing a lot, and growing together as a family as we minister in the third world. A few days ago, Samuel realized we are half way through our time here, and he offered his opinion that we should probably stay longer! Wow! 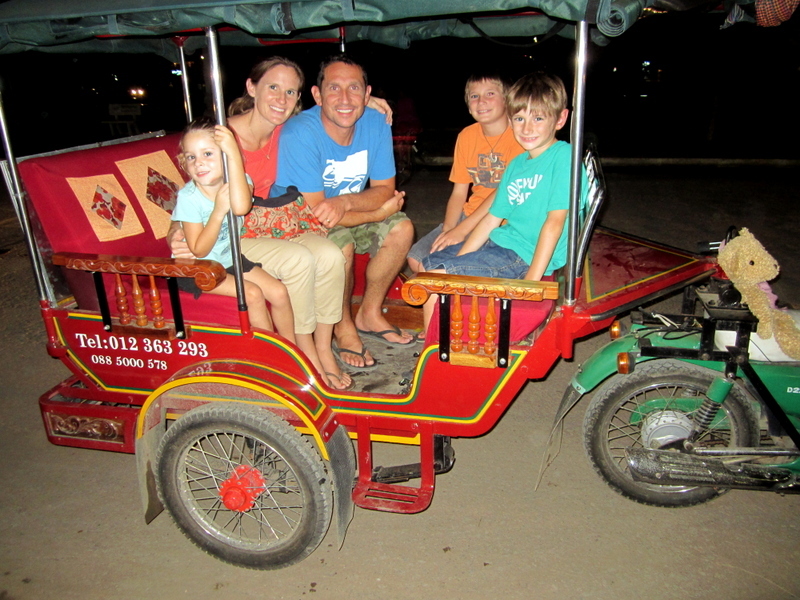 Arriving by TukTuk to Café Eden. This is how Battambang rolls! Getting back to basics has been a family highlight as well. The joy of playing games together and finding creative things to do is a good change from the usual go-to’s at home, ie..the Wii! Games like, “Don’t touch the ground” can last for hours!! 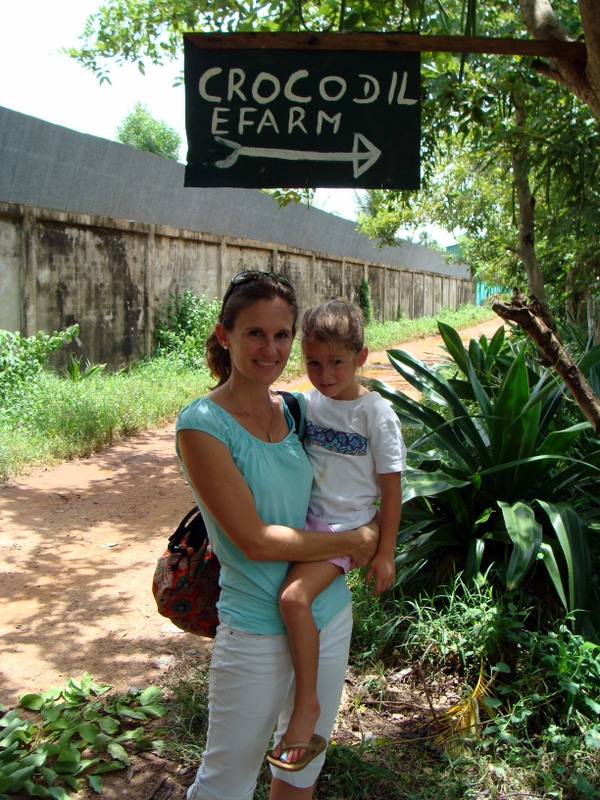 We got to visit one of the many crocodile farms in the city…they are farmed to sell to Thailand for leather, meat, etc. It was creepy and shocking really, to discover a person’s yard filled with hundreds, yes hundreds, of crocodiles! I certainly would not want to live next door! 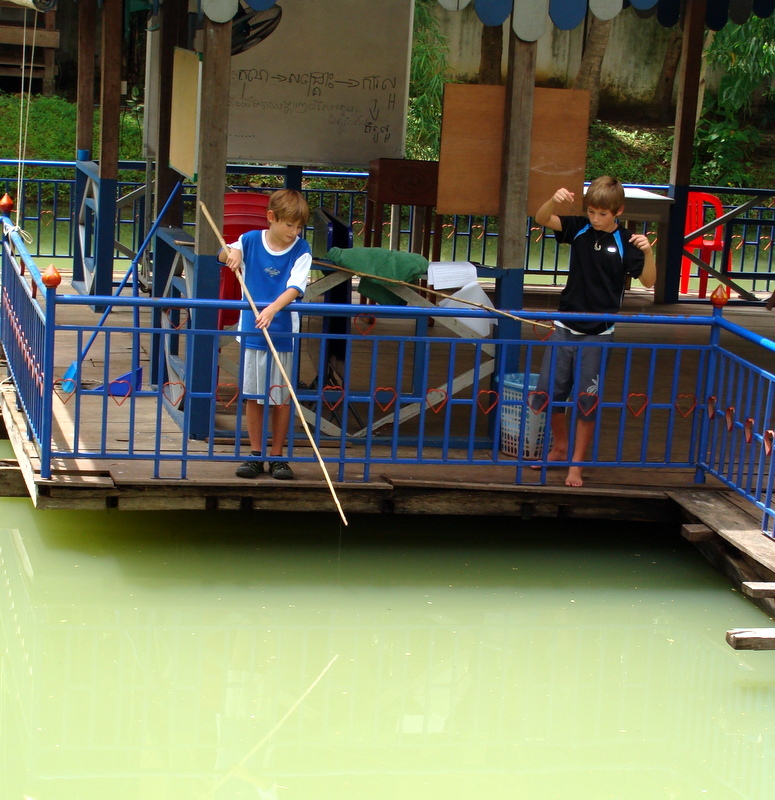 Check out this short clip of the Crocodile Farm! It is such a privilege to be here and be part of fulfilling God’s dreams for Cambodia and beyond. While we miss the comforts of home, God is faithful in reminding us that investing in His Kingdom guarantees the best return!! Fun Fact #1: In about 10 days the DTS here leaves for India, Laos, and Tajikistan! 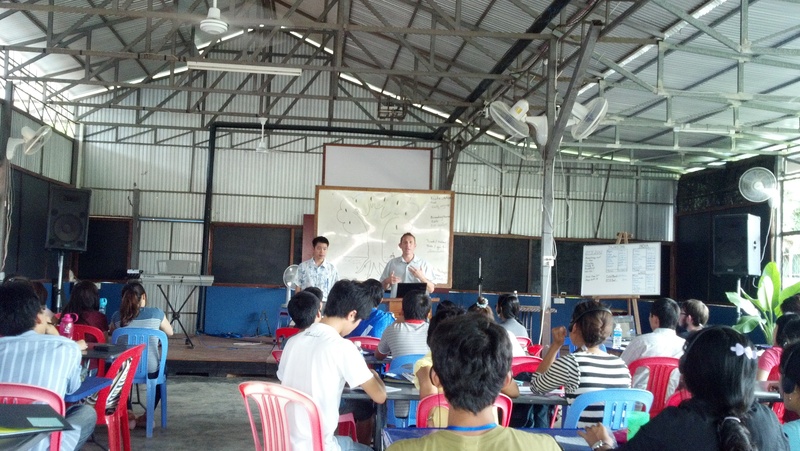 God is raising up Cambodian missionaries! And sending them into all the world!! Fun Fact #2: Izzy, a gal from Washington state, is co-leading the outreach to India. Izzy was in a DTS we led in MT 4 years ago! God called her back long term, and Jeremy and I couldn’t be more proud of her obedience and love for Cambodia. This is what we call in YWAM, a big paycheck! – We have been to the hospital twice already (Eden’s sliced under her chin, and Joel his lower back) and we would prefer to avoid that in the last month! – Joel has been struggling a bit with taking deep breaths. This may be asthma or an indicator or stress..
– Eyes for all 5 of us to see God’s beauty here and opportunities to show love to our Equip class, to folks on campus, and to those we encounter in the streets. – Cambodia and Southeast Asia were designed to glorify God! Join us in prayer for this!